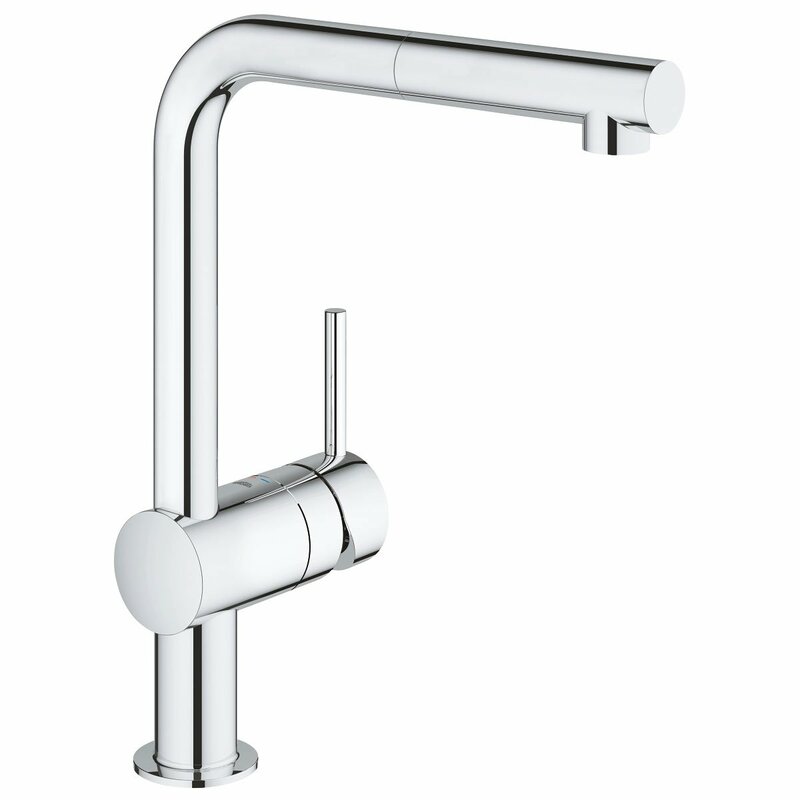 The Grohe Minta Mono Kitchen Sink Mixer Tap, Pull-Out L-Spout, Single Handle, Chrome is part of the brilliant Minta range from Grohe. Allowing you to modernise your kitchen without having to pay the premium of other designer brands, this mixer tap will fit any standard kitchen sink. You can be assured that you are receiving an item of the highest quality. The fantastic 5 year guarantee ensures the highest quality in this product.